There is an inherent romance in all gems, but none are quite like a ruby. For starters, it is the color of love. Several ancient legends connect the stone to the emotion. Throughout history, legendary lovers have celebrated their unions with ruby jewelry. “One day I’m going to find you the most perfect ruby in the world,” Richard Burton promised Elizabeth Taylor before giving her an 8.24-carat oval ruby in a diamond ring for Christmas in 1968. The Duke of Windsor gave the Duchess of Windsor several stunning ruby jewels over the course of their storied romance. 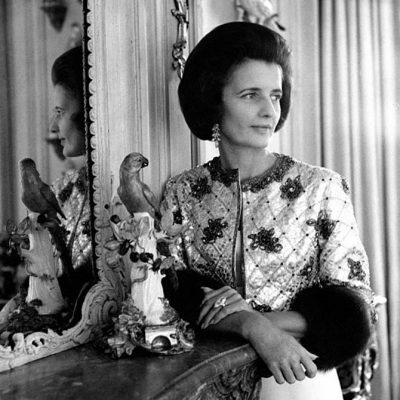 One of the most beautiful was the mystery-set ruby and diamond double feather brooch the king presented to the American divorcée in December 1936, the month he abdicated, giving up the crown to marry her. 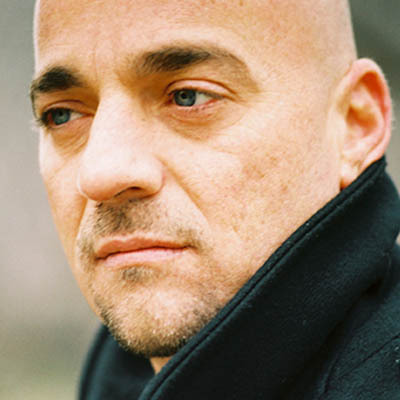 Super talent Yossi Harari has been designing jewelry with rubies throughout his career. “It has always been one of the most powerful gems in my palette,” explains Yossi. When the opportunity to be part of the Gemfields x Muse collaboration presented itself, Yossi enthusiastically dove into the project and created well over a dozen jewels covered with rubies. 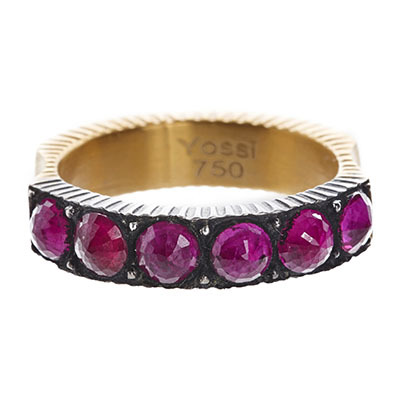 Yossi told me how the Gemfields rubies ignited a fire of inspiration in his collection. This is such an exciting year for you. 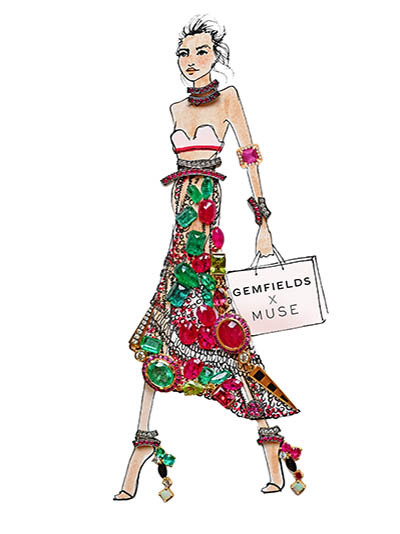 Of course, you are part of the Gemfields x Muse collaboration and it’s also the 25th anniversary of your collection. That’s a major milestone. Truly, jewelry has been a life-long passion for me. I was 11-years old when I took my mother’s large solitaire diamond ring and secretly redesigned it with the help of her jeweler. I surrounded the stone with a bunch of baguettes that made it three times bigger. When my mother opened the box she was blinded by the light. Officially, of course, my career began 25-years ago when I opened my shop in Istanbul. Some of the craftsmen that were with me in the beginning are still working with me today. 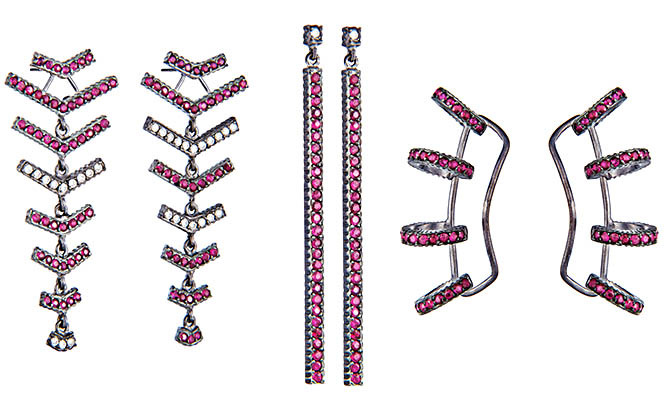 For the Gemfields x Muse collection, you contributed so many unique pieces in rubies. Can you tell me what inspired you? Rubies are a very warm gem and my jewelry is very warm. When I was looking at all the rubies at the Gemfields office in New York, the ideas just started rolling. I am not a minimalist. I really wanted to do something rich. Gemfields has such an incredible inventory of stones, there were several shades of rubies and that was amazing to see. There were stones ranging from the red to the pink palette. I mixed them together to create tonality in designs. 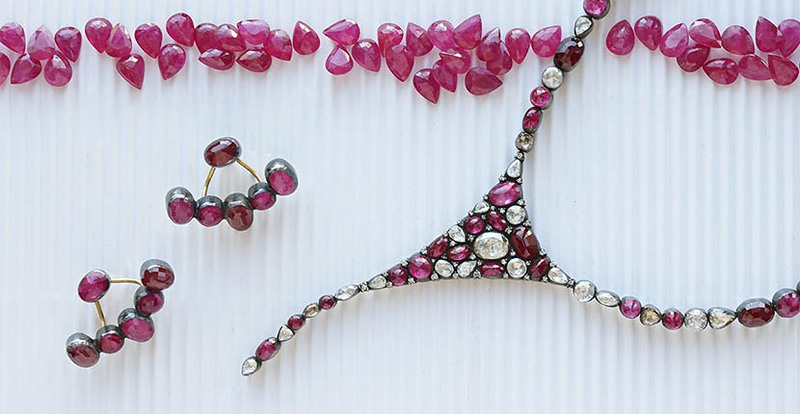 You used a lot of gorgeous oval rose-cut rubies in the designs. Tell me about those pieces. There is something classical and old world in the oval rose-cuts. The facets all over the top of rose-cuts add a texture to the jewels. The gems have an antique look I like to incorporate in my art. Your silver and gold setting is also reminiscent of an antique style. It is but the setting is proprietary. I invented it around 12-years ago and named it Gilver. The mix is silver soldered on top of 24K gold. The blackened silver is dark as night and really highlights the rubies. And the 24K gold truly shines and is a surprise when people get a glimpse of it. The closed back on pieces is also reminiscent of vintage styles. The bottom of rose-cut stones is flat so a foiled back works perfectly and really makes the colors pop. 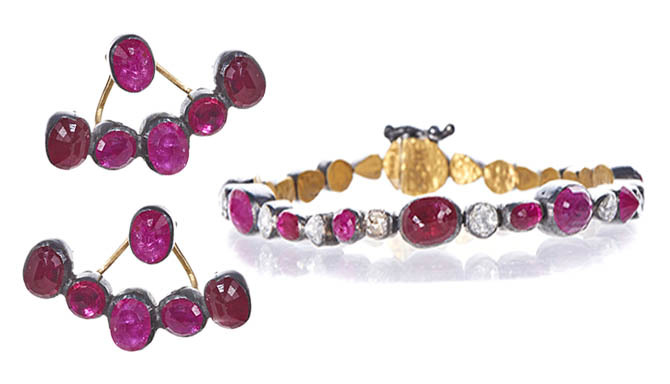 Other designs you set with Gemfields rubies feature small round stones and very modern silhouettes. You have ear jackets, ear climbers and mismatched earrings among other things. To me these jewels look like pieces that could have been found on an excavation where something modern was happening. They are my way of incorporating old world techniques with new aesthetics. The rubies all have the Gilver setting which imbues the patina of age, but the silhouettes are cool. Gemfields is the world’s leading supplier of responsibly sourced colored gemstones. Tell me what this means to you? That was one of the main reasons that I wanted to work with them. The fact that they are taking care of the land after mining it. It was so exciting to hear. 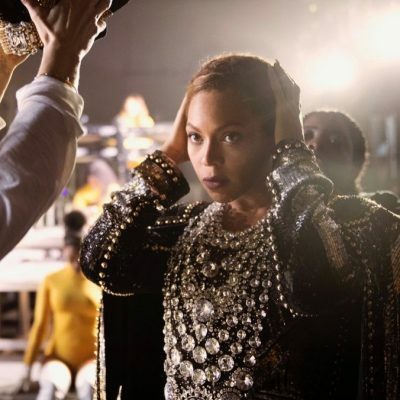 Created in partnership with Gemfields, this post is one of a series of stories about designers who participated in the Gemfields x Muse collaboration. Gemfields is the world’s leading supplier of responsibly sourced colored gemstones, specializing in emeralds from Zambia and rubies from Mozambique. Muse is the fine jewelry industry’s premier showroom for emerging and established talent.